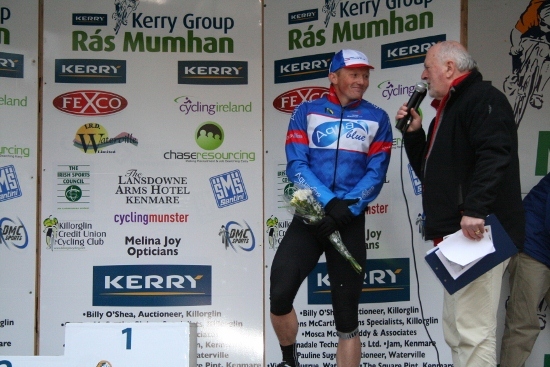 The new entry format for the Kerry Group Ras Mumhan has proved very successful. With only 9 weeks to go to the event, 30 teams have already been entered. There is now only space for 3 more teams, so the race is on for the remaining available places. The final list is expected shortly. Among the teams entered so far are – West Frisia and Noord Ruiter Dakapallen. Both of these Dutch teams have been regular participants in the Race for the last number of years. Joining them from Britain are – BH Solidor, Team Primal, Felt Colbornre, Surrey, Isle of Mann and a Scottish Cycling National Development Team. Top of the Irish entries is the Irish national Under 23 team which is expected to include some big hitters. Also entered in the competition from Ireland are: Liquidworx, Se.engine, Orwell, Navan, UCD, Comeragh, Cuchullain, DID Dunboyne, Westport, St. Finbarrs, Aidan Crowleys new Velo Revolution team, South Dublin, Omagh, Western lakes, Phoenix, Nenagh, Bikeworx, Aqua Blue, IBIKE (a new team from Kerry) and the host club Killorglin. The race starts on Good Friday with the usual 105km stage in Mid and East Kerry. Saturday is a big one for the climbers with a new 144km taking the race from Kenmare to West Cork and back again to Kenmare. This stage includes the climb to the Healy Pass. The roads of South Kerry beckon on Easter Sunday for the Queen stage which takes the riders on a 142km series of loops and climbs including Valentia Island and finishing in Waterville. Monday is a flat 117km stage in Killorglin, taking in the lap around Beaufort 3 times before the Grand Finale of 10 shorter laps – including the famous hill in Killorglin on each lap. Altogether the Kerry Group Ras Mumhan accounts for a grand total of 508km and 24 categorized climbs. Clubs & teams interested in taking part in the race should contact the Race Secretary, Mary Concannon: Tel: 00 353 64 6644396 / 00 353 87 2802071, maryconcannon@eircom.net.